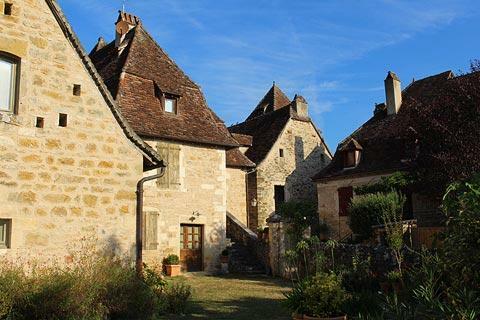 Carennac, listed among the 'most beautiful villages of France', is 20 kilometres east of Souillac and in the Lot department (Midi-Pyrenees region) of France where it is a marvellously picturesque village on the banks of the Dordogne river. The town existed as early as the 11th century, when it developed around a priory, although its history dates back to neolithic times. Parking is on the edge of Carennac, very close to the centre, and a charge of about 3 euros is payable. 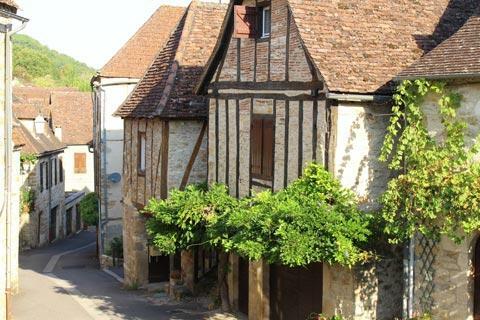 The lovely houses in Carennac are in the local white-yellow stone (bring your camera - it is very photogenic) and the single lane bridge entering the village adds further to the charm. Many of the houses feature ornate windows and other interesting architectural features. 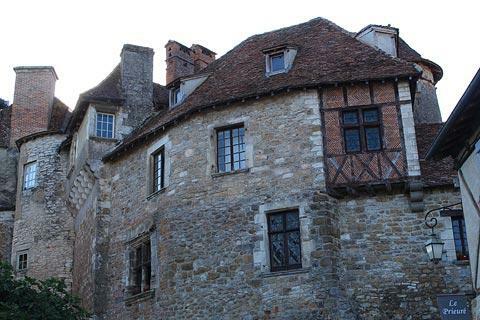 Most of the houses date from the 15th and 16th centuries. 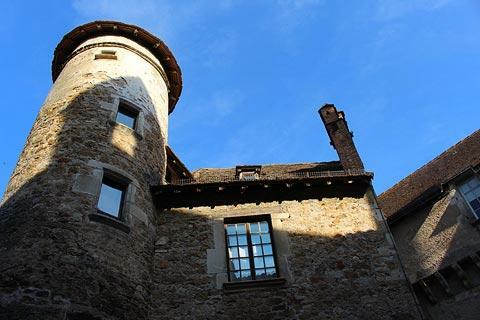 Many of the houses have been lovingly restored, and one or two of the houses have simply beautiful wooden balconies. When we visited the town was not inundated with tourists, which also counts in its favour! 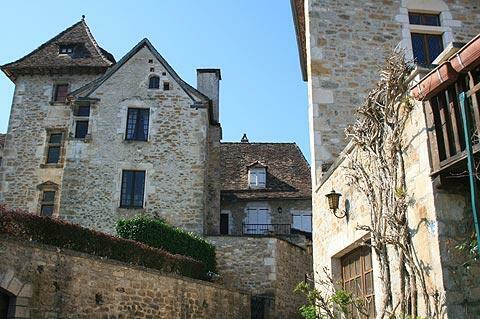 In the centre of the village you can see the ancient fortifications, the priory and the church. 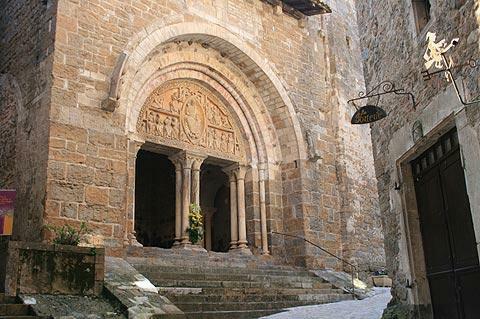 The entrance to the church is in a small square, almost a courtyard, and one of the most picturesque parts of Carennac. 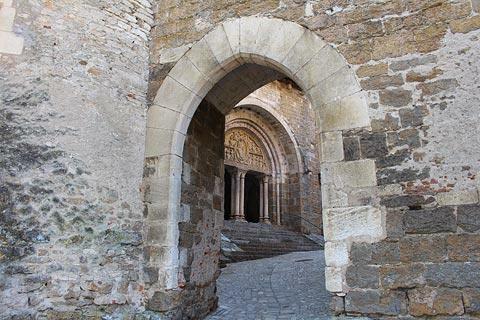 The Church of Saint-Peters is a roman style church dating from the 11th century and once part of the priory and is particularly interesting. Admire the remarkable carvings of Christ with the Book of Judgement surrounded by the apostles in the tympanum above the door that were added in the 12th century, then enter the church to take a look at the medieval cloisters (partly 12th century although largely rebuilt in the 15th century after damage during the Wars of Religion, entrance fee payable) and the lovely 'mise au tombeau' statue from the 15th century. 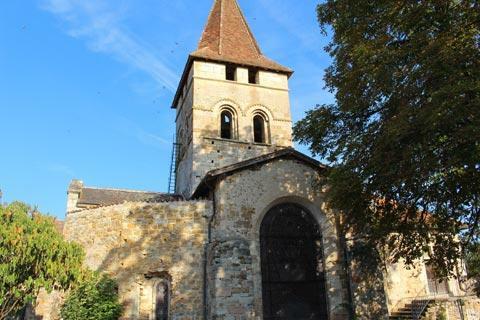 It is apparently in this church in Carennac that the famous French author called Fenelon wrote his 'Adventures of Telemachus'. 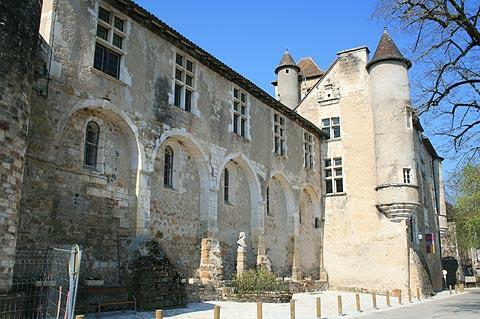 There is a 16th century castle in Carennac, the Chateau des Doyens, which has many interesting features and where you can also see an exhibition which explains the history of the town and region. 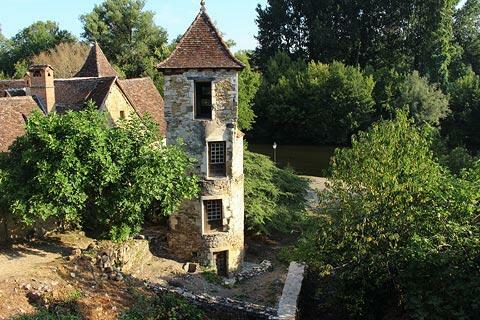 There is also a delightful 'Rapunzel' tower to discover near the river towards the bottom of the village: round at the bottom and square at the top, it once formed the staircase of a larger building but now stands alone. France This Way comment: in Carennac it is sometimes hard to believe you are still in the 21st century. 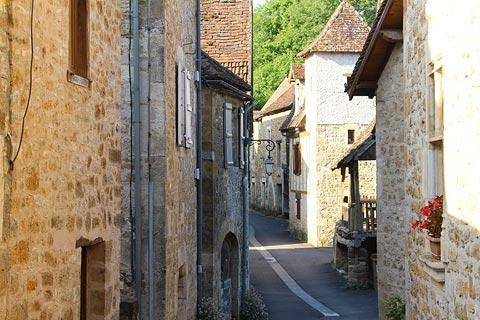 Try and visit if you are in the area and want to escape the beautiful but over-commercialised nearby Rocamadour. 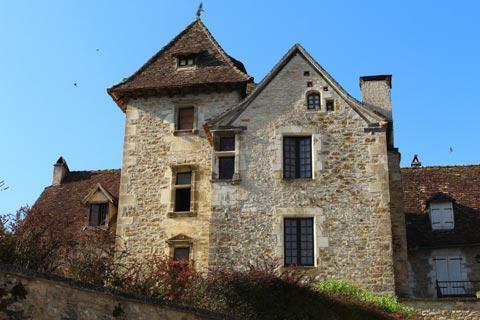 There are several other 'beautiful villages' close to Carennac including Autoire, Curemonte, Loubressac, and Turenne. 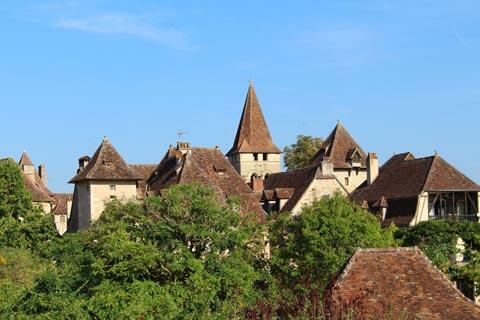 We also recommend you visit Martel and Gourdon, two more historic towns close by, as well as the riverside town of Beaulieu-sur-Dordogne. 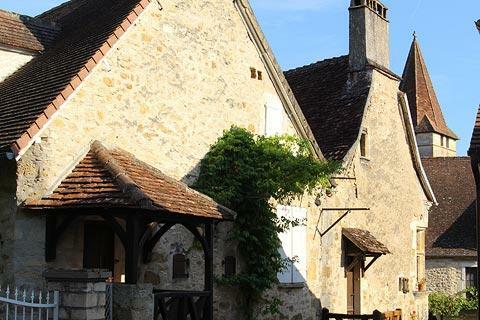 Carennac is 20 kilometres from Rocamadour, pilgrimage town and one of the most popular destinations in France.